Growing up, I spent my summers in northern Italy with my mother’s family. One branch of the family lived in Südtirol, a historically German-speaking region nestled in the Italian Alps near the Austrian border. 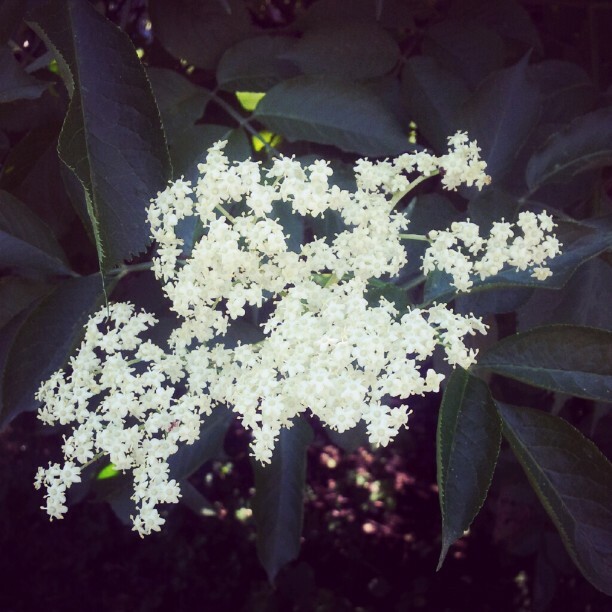 My cousins and I would collect elderflowers and bring them home to my aunt, who then magically transformed them into a sweet-smelling drink she called sambuco. (This is not to be confused with Sambuca, the Italian liqueur made from spices and elderflowers). I always associated sambuco with these idyllic childhood summers spent roaming in the mountains, picking mushrooms and trying not to fall in patches of ortiche (nettles). Then, a few weeks ago while visiting the Czech village of Karlstejn, I noticed some delicate white flowers growing alongside a road. The smell immediately brought me back to Südtirol. I picked a bagful of flowers and, as soon as I got home, searched for a recipe that resembled the drink my aunt used to make. Sambuco, I realized, was elderflower cordial! 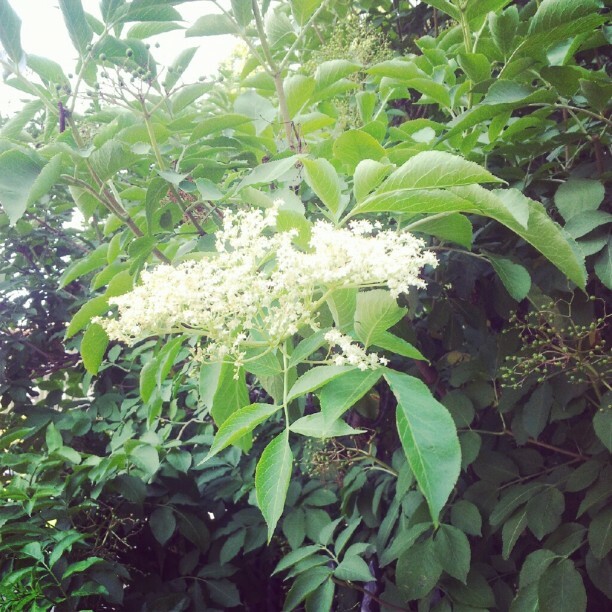 Luckily, I’ve been able to find elderflowers growing around Prague (on Kampa Island, near the Žižkov TV tower, and in Divoká Šárka, for example). Elder, or sambucus, grows natively in temperate-to-subtropical areas of the Northern Hemisphere; it is not as widespread in the Southern Hemisphere but can be found in parts of Australia and South America. The plants flower in late spring. Note: Quantities are relative, since it all depends on how many elderflower heads you pick. 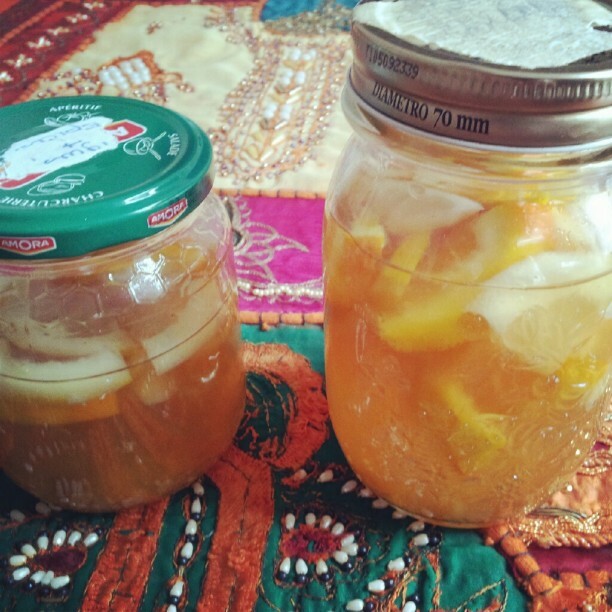 Some recipes call for citric acid. This gives the cordial more of a sour flavor and acts as a preservative so that it can be stored for longer periods of time. I’ve never used citric acid; I rely on the lemons and oranges for that sour “kick.” Also, I go through this stuff so quickly that long-term storage is never a concern! Remove any leaves from your elderflower heads. Shake the elderflowers to remove any bugs. Rinse under water and pat dry with kitchen towels. Place the elderflower heads in a large bowl. Cut the zest from the lemons and oranges in large strips (a vegetable peeler works perfectly for this purpose). Then, cut the fruit into thin slices. 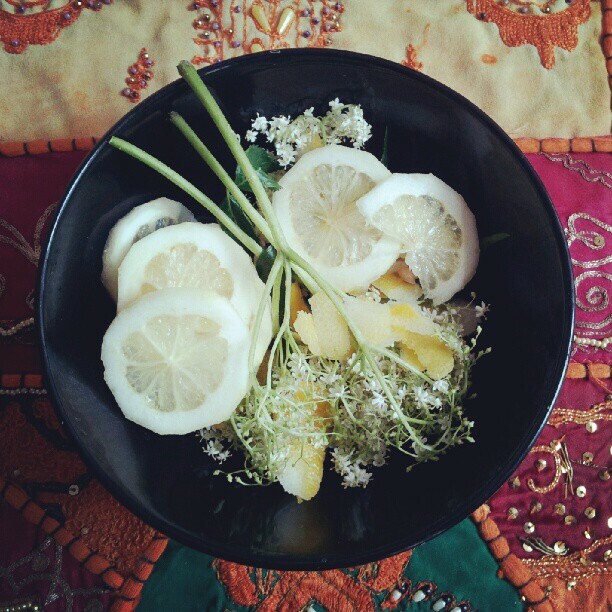 Add the zest and lemon/orange slices to the bowl with the elderflowers. Remove the saucepan from heat. If you are using citric acid, stir it into the sugar syrup now. Pour the warm sugar syrup over the elderflowers, lemons, and oranges. Cover with a kitchen towel and leave to steep for 24 hours. The next day, strain the liquid through a strainer or cheesecloth and transfer into sterilized jars. And, voilà, you’re done! You can enjoy your elderflower cordial in all sorts of ways. Mix it with sparkling water, over ice, and garnish with a lemon or orange slice. Serve it with white wine for a refreshing summer cocktail. Drizzle the syrup over crêpes for dessert. If you’re feeling adventurous, you can even make elderflower ice cream! Oh, and if you have some fresh elderflower heads leftover, you can fry them and make yummy elderflower fritters! This entry was posted in Prague, Taste and tagged camilla, cordial, elder, elderberry, elderflower, prague, sambuca, sambuco, sambucus, taste.